Each project is filled with our creative services and skillsets. Here’s an example of a typical project and the percentage of our services performed to bring a project to life! A Successful Project is a well thought out project. Production is the actual shooting, to include lighting, and audio. We assure that each shot counts. Video Graphics include photos, logo's and more. Our photoshop expertise is essential in every project. Simply Put, editing. All the graphics, footage and audio sweetening brings the project to life. Whether a project is on DVD, or distributed on the Web, we can assist in making sure your video reaches its destination in the highest quality possible. Tom MacKnight started his video career early in the 80s when he and his partner came up with what was called “conceptual videos”. Although the idea, however, was repackaged and in 1984 music videos became a household word. In the late 80s early 90s, Tom worked closely with a film and video production company as director of marketing. After developing a web presence for a company Tom was partnered with, Tom started working back on his video production incorporating the use of marketing rental properties with what are now called “Virtual Tours”. This was in 2001/02 prior to virtual walk-throughs becoming a mainstay in property marketing. 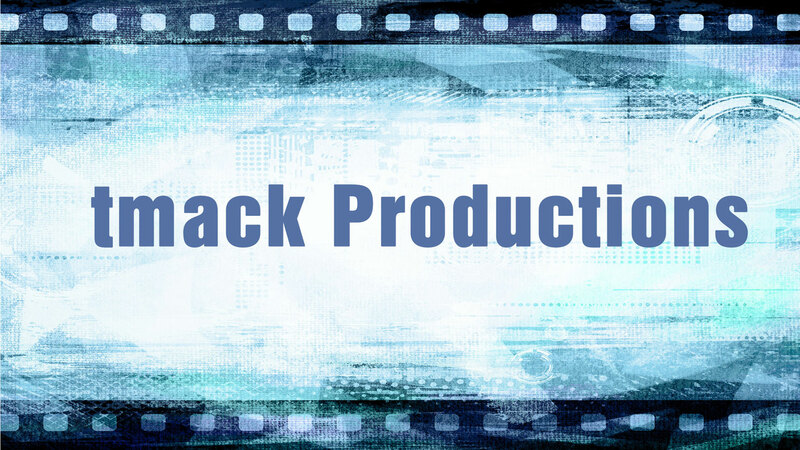 In 2005, Tom started tmack Productions. In 2007 “Thunder on the Gulf” a one-hour documentary on the world of offshore racing was shot. Released in 2009/10 the documentary was the first of many documentaries including shorter corporate documentaries. Since then, has shot reality shows, commercials, corporate videos and moved back full circle to providing companies with creating a video presence on the web. In 1995, Tom shifted his expertise to the Internet, realizing that the internet was going to be a game-changer in the business world. Working with a company that brought for the first time, the Internet into the Birmingham Alabama area, Tom assisted many companies in their transition to marketing on the Internet and developed many websites and web applications during this time. Tom’s Internet applications brought him to a partnership with the Resort Guide of the Gulf Coast. It was during this time that Tom’s passion for video production once again became evident. Tom created what he dubbed “WebMercials” for his resort customers. This was prior to any video-sharing services such as YouTube. Tom created video streaming servers and placed WebMercials on the website. This quickly became a popular marketing product and since then Tom has shot over 100 resort commercials. Full Service means from start to finish. Got an idea? We can make it happen. Pre-Production is the planning stage. We take your ideas and organize them to make sure that your ideas are do-able, cost efficient and well planned out. Post-Production is the editing process. 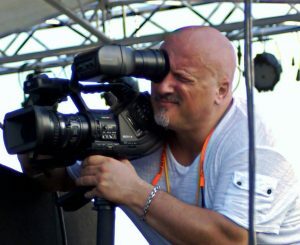 Carefully placing your video where it needs to be to make the production the best it can be. An idea for a video is only as good as its ability to accomplish the goals of the project. Whether it is sales, awareness or instructional, your video has to capture attention and create information retention. Creative services can take those ideas and take them to the next level. Keeping one toe in the reality pool, we can make sure your ideas are exciting, entertaining and assist in capturing your ideas and making your point. High Definition is the key here. All video is shot using professional Cinealta true HD Cameras and 4K cameras. Drone footage? Not a problem. Handheld stabilization available as well. Lighting packages assure that your footage is well lit and looks the best it can. Our audio package includes overhead and wireless microphones for any kind of situation. Using high-end linear editing systems coupled with advanced graphic software, our post production services bring your project to life. High-end graphics add the extra touch to your project. We can provide DVD’s or ready-to-go videos for your YouTube, Vimeo, website or Facebook distribution. Tom’s experience and understanding of business as a marketer, sales, co-owner and a principal owner is key to understanding company needs and how projects can benefit businesses. Coupled with his production experience, finding solutions and angle for marketing is second nature. Let’s talk and see how we fit. That’s the only way to know if we would be the right choice for your video production. Let’s brainstorm and see what we come up with! Video is part of our everyday lives. From tv's, computers and now our phones. There's a video application waiting for your marketing campaign. Let us help figure out the best possible way to implement your ideas and create a fast ROI on your video investment!